This story begins at the home of Helene Pickett, who co-founded the beloved Wilbraham Peach Festival in August of 1985. Positioned on the couch she begins to thumb through a plastic tote filled with saddle-stitched program books, pictures, newspaper clippings and even peach-colored file folders. Nancy, her daughter, joins the conversation and serves as a sort of Peach Festival historian, quick with dates and details of the original event. The idea started with one man – John Sevey – who attended strawberry festivals in the south and was inspired to bring a similar fruit-inspired celebration to his hometown. He and Helene’s husband worked together at MassMutual and when he needed help planning, Helene was – as she says – lucky enough to be asked. So the two took a ride to Fountain Park, a non-operational pheasant farm at the time. He claimed this would one day be home to the Wilbraham Peach Festival. At first, the committee consisted of just a handful of people from the Fist Congregational Church, none of which had any particular experience planning such an event, but learned as they went. 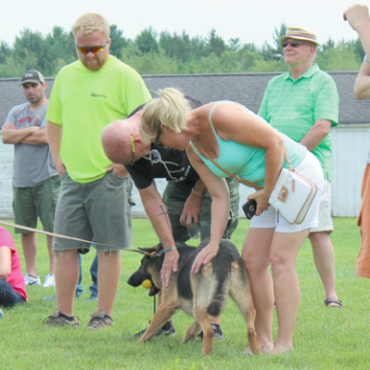 Starting small and on the ground of Minnechaug High School, entertainment and participation was diverse from resident musicians, school clubs, civic organizations and local businesses. Everyone worked together, creating not just a fun event, but also a place for townspeople to gather as family and friends. The festival grew, moved to Fountain Park and expanded from a one-day festival to a celebration lasting the entire weekend. For twenty-five years the festival served as a point of pride, for not just the Pickett’s, but also the entire town. The lineup – which Helene coordinated in later years, went on to include national acts like Marie Osmond and Crystal Gayle, a children’s entertainment stage, pancake breakfast, business showcase, craft show and parade – to name a few. “It was the local bands, talented kids and individuals that made it so special. It wasn’t just about big headline entertainment, but friends,” says Nancy. The celebration represented traditional community life and in 1999 Nancy was tasked with the job of chronicling the festivals’ history for Local Legacies, a program to commemorate the Library of Congress Bicentennial and to celebrate America’s richly diverse culture. 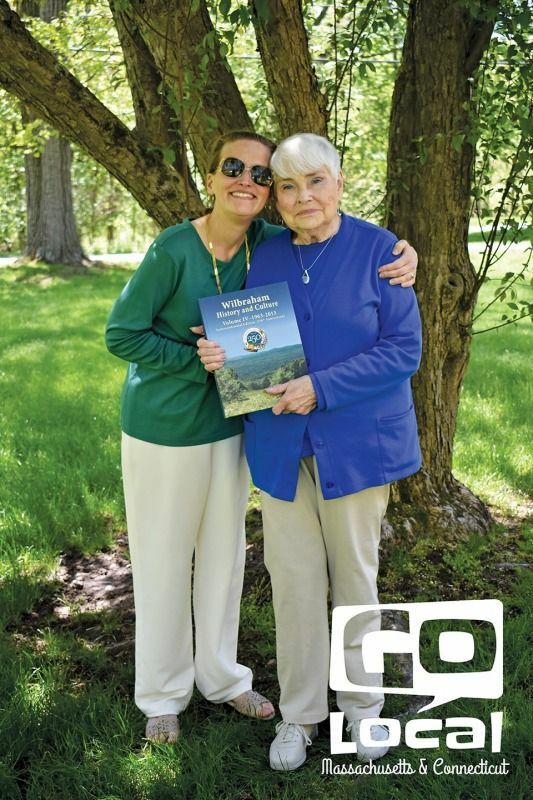 The endeavor helped her and Helene prepare a chapter in the 250th Anniversary Edition of Wilbraham History and Culture, a fourth volume book chronicling life in the small town from 1963-2013. Even with its popularity, the volunteer-run event became difficult to manage as the core group diminished over the years. In 2009, the last peach festival took place. Jennifer Powell moved to Wilbraham six years ago and while she never had the chance to attend the peach festival, she continually heard stories about the event gone by. She knew it had been Wilbraham’s “thing” and – along with a group of other local parents – desired a local event that they could make their own. The original Peach Festival happened in August, which posed an issue for organizing volunteers. Wanting to involve as many school groups as possible; The Wilbraham Peach Blossom Festival came to fruition. The revived event will take place in June, a time of year when school groups are active and summer vacations have not yet begun. With ten enthusiastic members, it gained momentum quickly and has been a yearlong project, with members diligently planning respective areas of the festival. To get them going, they called Helene for her advice – and blessing. She was excited to hear the festival was returning to Fountain Park and The Blossoms looked forward to planning a true community event that reflected the original festival roots. The people-driven initiative will showcase the best of Wilbraham and serve as a fundraiser for participating organizations. The June 17 (10:00am-7:30pm) event will feature eight different areas, including a Blue Ribbon Tent featuring hobbyists and resident talent, while the History Barn will showcase town memorabilia. There will also be a handmade carnival, fundraising food fest, craft fair, Pre-Game Gala on June 16, and opportunities for sponsor and volunteer involvement. A broad range of local organizations and charities – from the PTO to Friends of Wilbraham Seniors – have jumped on board to host carnival games, while local restaurants are paired with charities to help raise money. For example, Ferrindino’s Farm will be selling crepes with maple syrup to benefit Fountain Park and Meatball Kitchen will serve baked potatoes to benefit Strings and Friends, a music ensemble program. “We want to keep it family friendly, affordable and local,” says Jennifer. For those looking for more of an “adult experience,” Rice’s Fruit Farm will keep its doors open from 7pm-10pm on Friday, June 16 for the Peach Blossom Pre-Game Party. The event will kick off the festival while raising money for CDH MaryAnn’s Kids, established to provide opportunities for children in foster care that would otherwise be unavailable to them. The evening will feature food from Dana’s Grillroom, cash bar, music and raffle prizes. Pulling up to the Red Barn – a newly renovated New England post and beam – you can hear Patrick Brady and Tracey Plantier chatting about an upcoming volunteer day at Fountain Park. Both serve on the Board of Directors for the 144-acre park, otherwise known as the Wilbraham Nature and Cultural Center. The Tinkham Road nature preserve will host the Peach Blossom Festival, but the parcel has a rich history – and event schedule – all of its own. Patrick shares that the property was originally a pheasant farm, an experiment conducted by Franklin Roosevelt to see if the community could raise its own protein – it couldn’t. Following the closing of the farm, the grounds and buildings fell in disrepair until a group of local townspeople convinced the Commonwealth that the property would be better served by turning it over to a group of volunteers. With a donation from Carol and Laurence Fountain, the property was purchased with a charter to provide passive recreation. Now the park is a popular site for hiking, dog walkers and an annual summer concerts series. For over two decades the park has been operating under the watchful eye and care of volunteers; Patrick and Tracey are just two of the many. Patrick says there’s a strong sense of community spirit and volunteerism here, proven by beautifully landscaped open spaces, a newly renovated barn and iconic gazebo. The grounds are unique in that it’s privately owned and operated, but the status also makes the nonprofit responsible for everything from utility costs to lawnmower gasoline. Local residents and businesses donate materials, time, talent, and revenue to underwrite their success, making project completion possible. At its centerpiece, the Summer Concert Series is the opportunity for residents to listen and appreciate musical entertainment by well-known professional musicians; The Cartells & Bill Hollman will kick off the summer on Thursday, June 15. The concerts themselves are free, but a $5 parking donation is requested to help offset the cost of things like road repairs. A $25 parking pass is also available and good for all eight Fountain Park events, including the hosted Wilbraham Peach Blossom Festival.